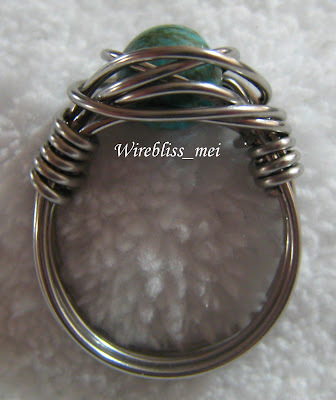 Few weeks back when i made my first turquoise ring together with the bracelet, i kind of promise to myself that i will redo another one as i was not satisfied with the wrap. 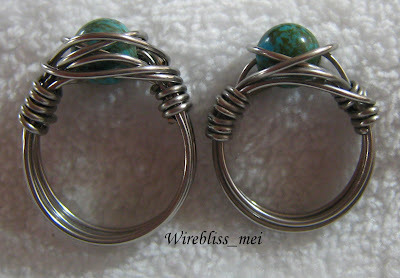 Spent few hours today just to finish another version of this ring - and call it Few Times Around the World..hehe! Its obvious if you just take look at the pictures. This time i am quite happy with the finished piece but its a bit bigger than the first one so i have to wear it on my pointer finger.